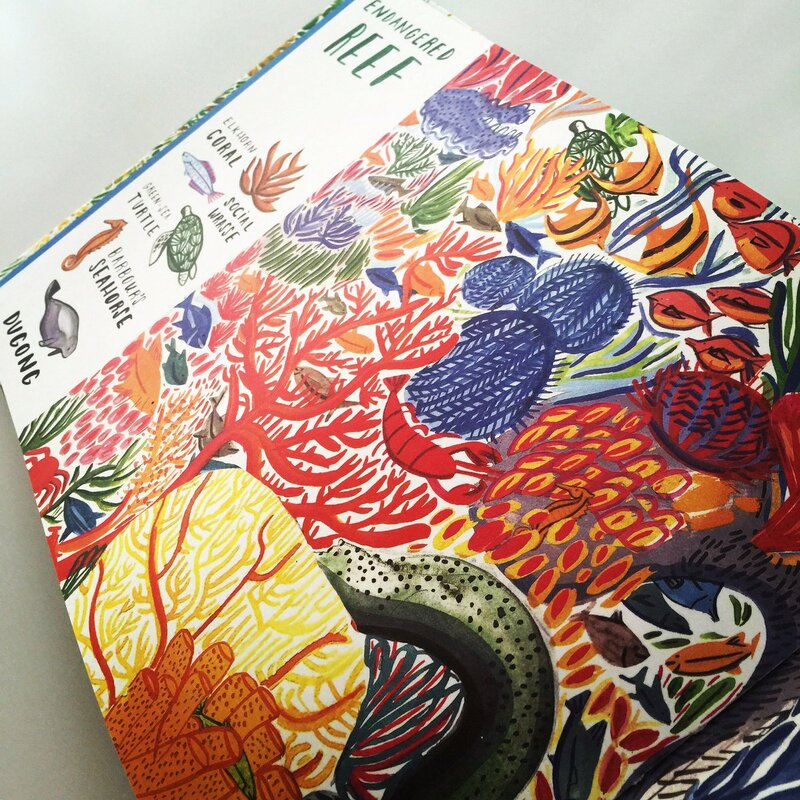 This most stunning search-and-find book of endangered animals is a complete gem. 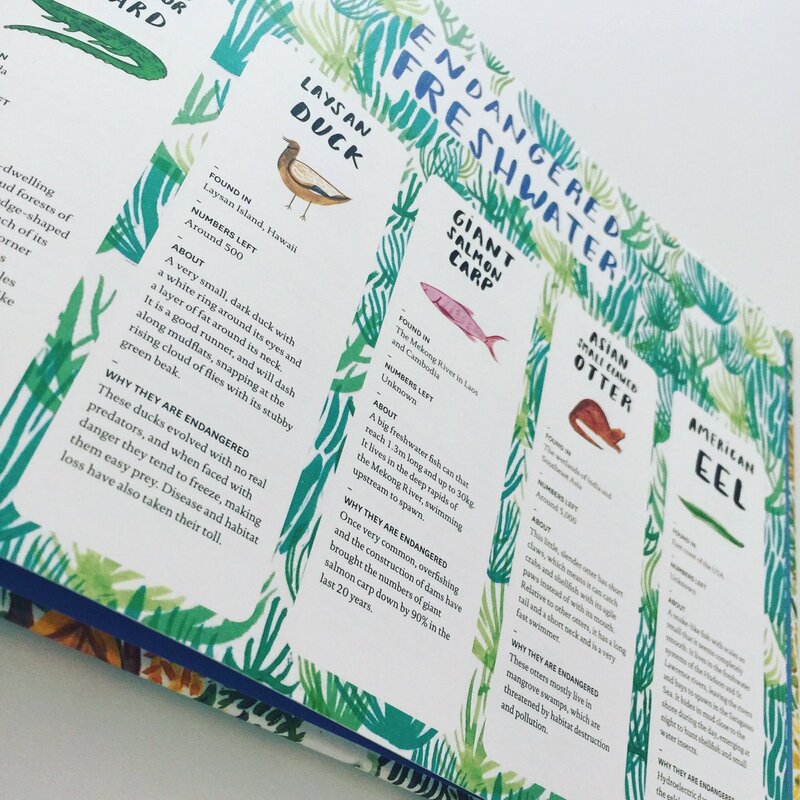 Not only will you undoubtedly learn about some endangered species you never knew existed, but you’ll have much fun along the way spotting them all! 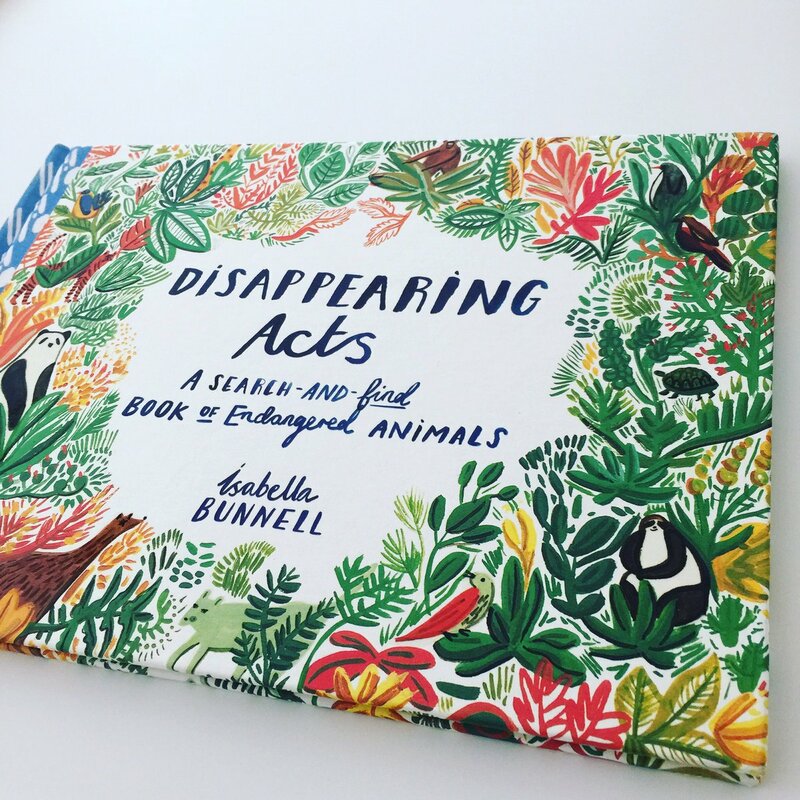 Isabella Bunnell has created a book bursting with colour, facts and endless fun. From Humphead Wrasses to Purple Pig-Nosed Frogs, you be hard-pressed to find all of these delightful mammals and animals amongst these vivid habitats. 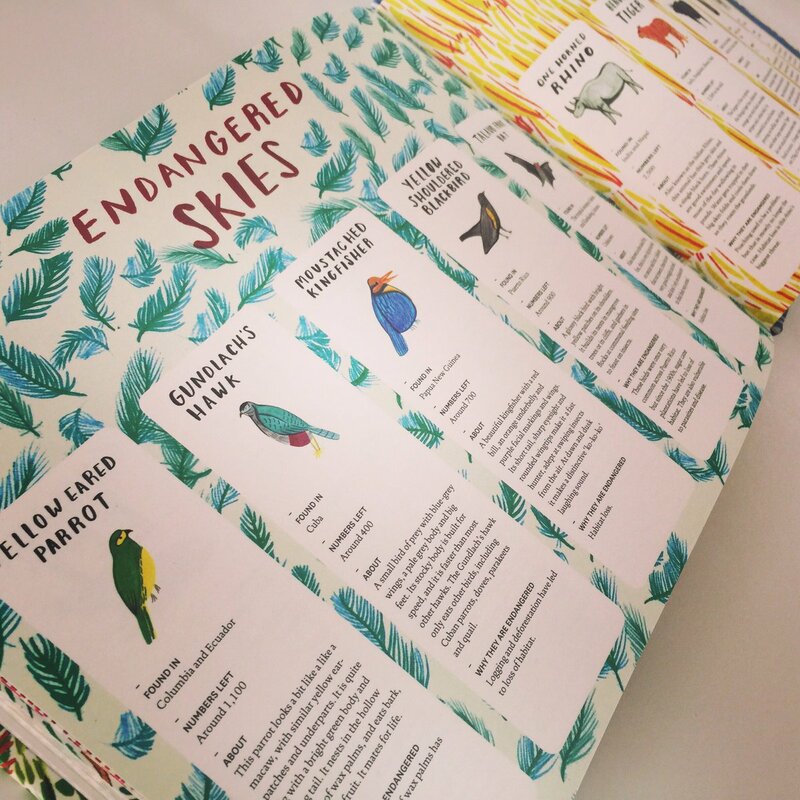 With jam-packed spreads, vibrantly filled with thriving habitats and unusual creatures, there’s a wealth of informative snippets scattered throughout this encyclopaedia of endangered animals. No animal is omitted from this impressive line-up. Creatures from the underground, grasslands, deserts, rainforests and our oceans are presented in glorious technicolour, coupled with some fascinating facts as to why they are endangered. A great introduction to the increasing number of endangered species, coupled with the most intricate illustrations.